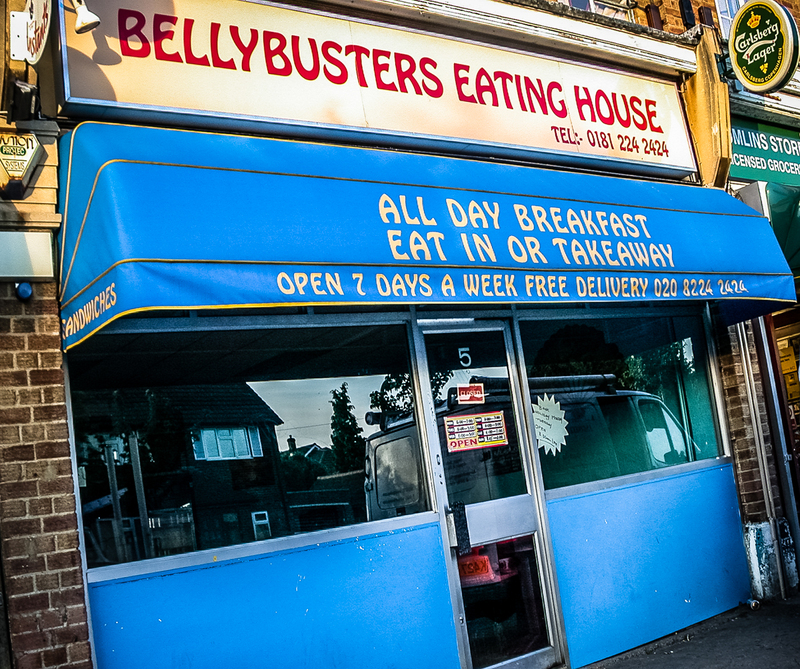 Belly Busters Eating House, 5 Central Avenue, West Molesey, Surrey, 2002 • Full-bodied name in full-bodied 1970s font. Still appeared to be there, and looking the same, in 2017. 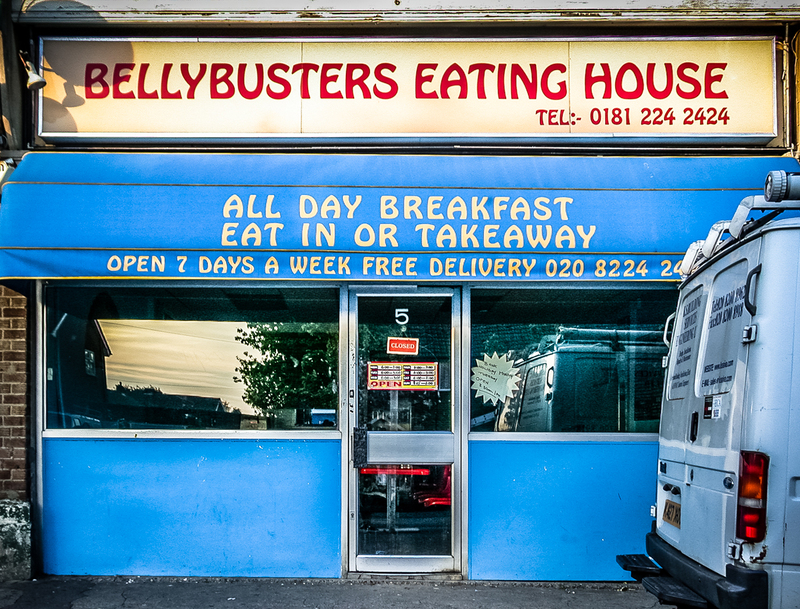 It gets 4.5 stars from 3 reviews on Tripadvisor, though one one calls it “shabby”.